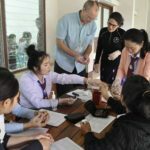 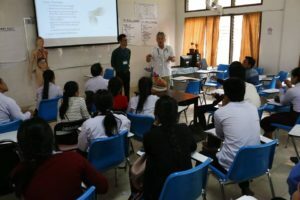 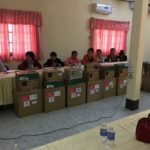 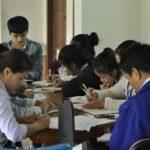 develop a Medical Education model that would be self-sustaining and not depend upon non-Lao educators coming to Lao PDR over an indefinite period. 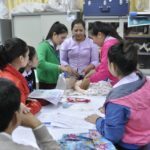 To address this concern, HLISeattle adopted a Train-the-Trainer model to develop an in-country cadre of physician-trainers who could carry the work forward. 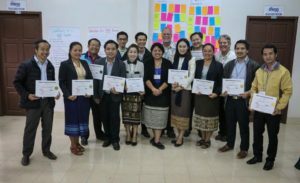 them to teach others and extend the reach of the training after the Health Leadership International leaves.